One of the biggest misconceptions about anorexia and eating disorders, is that the girls (or boys) are incredibly vain. That they’re stuck on themselves, obsessed with their looks, and fatally preoccupied with beauty. Sure, maybe the onset of the disease started with a desire to be pretty but by the “end” of the disease, the mirror became my worst enemy. Literally, abhorring my reflection. All I could see was my guilt, shame, and self-hatred projected onto the lifeless, gaunt shell of my former self. And truth be told, this is something that still haunts me today. In truth, it’s taken me almost eight years to truly be able to look in the mirror and recognize that I am, in fact, beautiful, and not hideous, as ED likes to tell me. I’ve written about THAT journey, here. But tonight, I want to reflect on a revelation I had today. As you know, one of the powerhouse ways I stay in recovery, is to keep my mind focused on good things. So, I always listen to Christian podcasts when I’m going about my day. And today, the topic was seeing Jesus in others. Yep, I’m going there. Before you roll your eyes, I want you to know that I have been there, where I just wanted to throw something when my mom would try to talk to me about Jesus during my disease. But now, in hindsight, I can see that that repulsion was just ED ruthlessly trying to protect the eating disorder. So I invite you to just read to the end, this isn’t preachy – I promise. Newsflash: Jesus just told us that the way we treat others is the way we treat Him. That He is living inside of each and every one of us. …but I’ve always at least tried to find the good. Why? Because Jesus is living inside of each and every one of us. We were made by Him, and we reflect Him. Psalm 139: For You formed my inward parts; You knitted me together in my mother’s womb. I praise You, for I am fearfully and wonderfully made. Wonderful are Your works. I was babysitting the other day, and I was thinking about this fact as I was watching the two kids play. I was looking at them with love, looking for traits of our Maker in them. The little boy has a tenderness in the way he looks after his sister, and she just wants to cuddle with me and be loved. Those are reflections. And I realized, as I was kind of smiling, looking at them, that this is how I should look at myself. This is how I should approach the mirror. Instead of scrutinizing my form, or fretting over this or that, I should approach my reflection as just that: a reflection of God. I look for the good in every single encounter with another person, so why don’t I do the same thing for myself? That is what I’m going to work on. That is how I will win the battle with the mirror. Because at the end of the day, I am more than just a face. More than just a body. I am a whole person. I am a spirit. I am a soul. I am a young woman that reflects He who made me, and delights in me, and loves me, no matter what. And the same goes for you, too. No matter what. I invite you to just think about that. And maybe if the whole “God-thing” isn’t your thing, that’s okay too. Thank you for reading:) I hope that perhaps something resonated with your heart in these words. That’s all for tonight, loves. May you find the good. In yourself. Anyone who knows my story is aware that I had my own issues with the mirror six years ago and it had nothing to do with ED. Still, my mind was occupied by the same evil taking up residence with the sole purpose of guiding me to my death. Evil wants our total destruction and it is through the destruction of ‘self’ this is achieved. You are skillful, my friend. I truly hope that many people come to know you and to trust you. I pray they will allow themselves to hear your ‘voice’ and be guided by it. I am thankful to God for not letting you die. Haha thanks Tony. But in all seriousness, thank you for sharing such a thought provoking and encouraging comment. I am so grateful for your constant support. Blessings to you, friend. Wonderful Post. I really admire how u take your experience and share it in order to uplift others! Great job! This is a really great article…and…the beauty of it, is…the info can be applied to almost any issue we have…thanks for sharing this!!!! Love ya girlie 😘 thanks for stopping by! Thanks Annie. You’re right. Definitely so far from the truth! Thanks for stopping by! See yourself the way you saw those children? Yes! Great post! 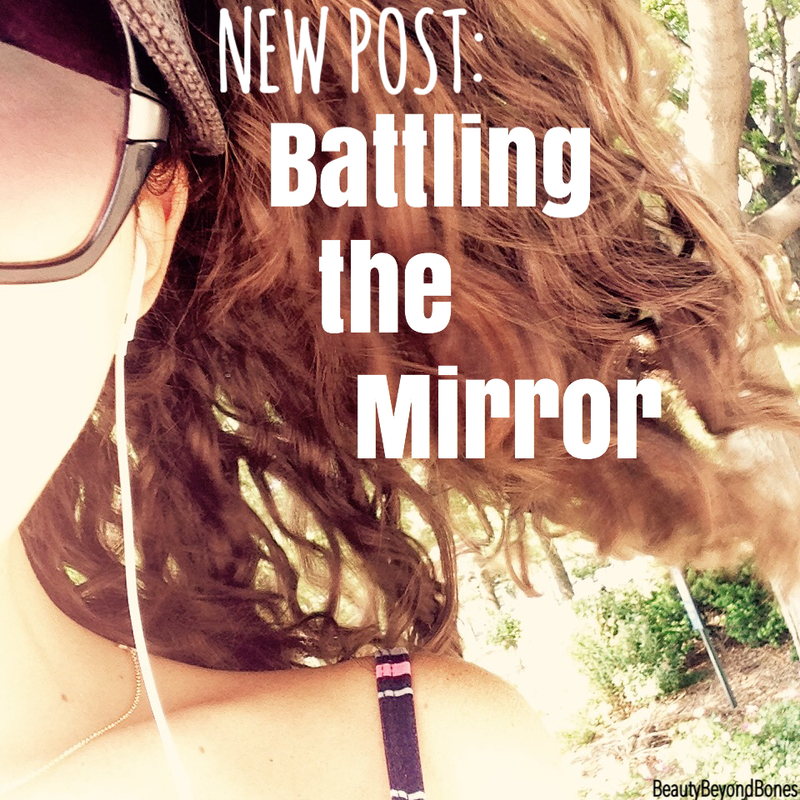 We don’t often think about the effect mirrors can have on us. For me, my mirror became my friend when I saw the person I wanted to be in there. In my case, I looked in and greeted with love and admiration the woman who was a NON-SMOKER! And shortly after that first look. that’s exactly who I became. Thanks for stopping by my own blog – I’ll be back to yours, too. Thanks for this comment. That’s awesome. What a powerful and motivating thought! Way to go! I’ve just read a large part of your blog and I just want to say thank you for sharing. I may not agree with everything but it must have taken a lot of courage to write it. What a truly remarkable and moving post. I actually saw you liked one of my blog posts and the next day noticed the word anorexia in title. (Myself have Been down that road. And hovering dangerously in relapse phase) hence another personal reason why I threw myself in the business I do and why I decided to blog my adventure. It keeps my mind focused and so prevented a relapse. It’s people like you and articles like this we need more of!! Keep blogging! Thank you so much Sarah. I really appreciate it. So glad you’ve found a way to stay strong!! Thanks for stopping by! Beautifully Stated! Philipians 4:13 “I am able to do ALL things IN Him who empowers me.” is the one verse that always keeps me going. Even in my darkest times when I can no longer do or say anything to help myself and/or others…when I no longer have it in me to move forward…HE CAN… so I got to HIM, lean on HIM, and stay in HIM. Keep trusting in the Lord and stay strong! Oh my goodness, I love that quote. Thank you so much for reminding me of it! You’re so absolutely on the money! Thanks for stopping by! Very inspiring. God has given us the capacity to love, and that should extend to ourselves. And I think part of our renewal is that we should forgive ourselves for the mistakes we think we made. Once we move past them, that’s when we see the goodness in ourselves. Good luck in your journey and keep writing. Thank you so much Gerard. Such wisdom. Thanks for sharing that tidbit:) glad you stopped by! First of all, thank you for stopping by my blog and liking one of my posts. Souls with bodies is the thought that came to me the other day, not for the first time, when I was walking my dog. As my vision continues to deteriorate I’m made more aware of who we really are as people. Once the distraction of the exterior is removed there is nothing left but to focus on the individual. This is a lesson I’m learning each day as my vision continues to decline and I must continually remind myself to trust God with each step I take without worry afterall it’s out of my control (so much easier said than done). That was such a beautiful revelation, to look at ourselves as a reflection of God. Thank you for sharing. I pray you continue document your journey. 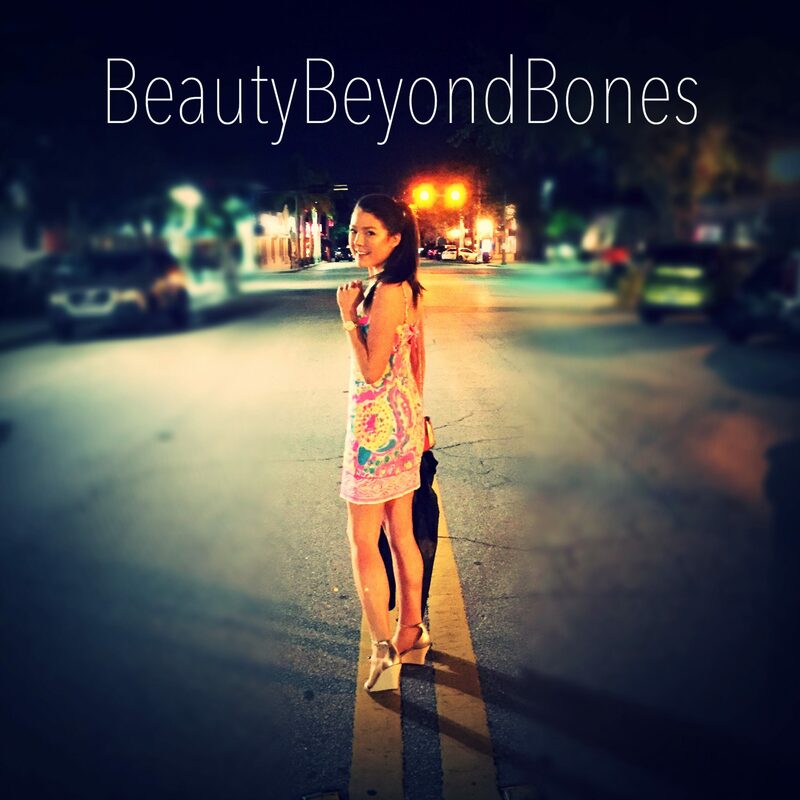 I have to share this beautiful blog by Anorexia Revealed, Beauty Beyond Bones. She shares this with such a pure heart and it certainly touched mine! Great point! In addition, we are to love others AS we love ourselves. You’re so right! What a great reminder! Thanks T! Thank you for sharing! You are a blessing! The Bible is the only mirror we have in this life that tells us the truth about ourselves and the world around us, and by it we are able to see everything through God’s eyes. You are more beautiful than you know and your life, every second of it, is infused with meaning and purpose because you were created, and you were created in the image of God. Christ died that you may live. Bless you for allowing Him to live through you so that others may find life in Him as well. Thanks so much for expressing your ideas in a beautiful, straightforward, and light way! I used to have an eating disorder I never speak about. It was called being so po’ that we just didn’t have any food and my parents would not accept charity, not that anyone but a couple relatives ever offered it. We were skinny as rails and half my siblings became morbidly obese trying to make up for lost time once they could finally afford food for themselves as adults. I thankfully always kept a cool distance from nourishment except for loving to garden so mostly good fresh food for me, but I do cave to chocolate and ice cream! Took me forever to even get to a normal weight, now I sometimes long for the skinny days, not that I liked how I looked that much, but I felt great. Beautiful. A reflection of who you truly are. Thank you Francis. I appreciate your kind words. Have a great evening. This is gorgeous! I will say that I struggle with body image a TON. But that’s when I remember that God thinks I’m beautiful and I am more than a body. Psalm 45:11 paints the perfect picture of how beautiful we are to Him. And Regina George is awesome lol. So true…Vanity is not the problem, I had a cousin who battled with this and lost the battle…She was not vain, just Hurt, sad, Loss of self confidence, and sooooo much more. I cannot even imagine what she went through every day…to me, She was a Hero! Love your blog! The way you freely express your faith is so inspiring. You truly are a blessing!